Why Take photography Courses? Start now! Essential to your growth and inspiration. 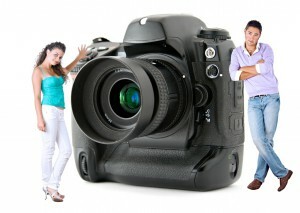 Different Types Of Photography Courses. The time you have available, the level you want to achieve as well as other variables will dictate what type of photography course will best suit you. Do you want to become a professional photographer? Do you have time each week to attend a course or would you prefer to do it from home at your leisure? How serious are you and how quickly you want to improve your skills? Depending on some of the above answers you may want to consider the following. (Requires a DVD player or computer). What Subjects Should A Photography Course Cover? I believe a good photography course should cover the following (as a minimum). Studio Lighting and Situation Lighting. As I say, this should be the minimum a good photography course covers. Other subjects could include product photography, travel photography, journalistic photography, real estate Photography and the list goes on. Everyone’s interests are different. One of the first things need to learn is how to use your camera. Not just the basics but also what your camera, and you as a photographer, are capable of. Most photography courses will teach you things such as camera settings and features, lighting, filters, etc. Good photography courses will teach you the tips and tricks to taking great photos like the pros, and will greatly speed up your learning curve, with tips on how to take great photos whether that be landscape photography, people / portrait photography, animal / pet photography, sports photography, real estate photography or any other photography subject. One aspect that is essential for a great photograph is camera lighting. Shadows and photograph composition also come into play. You will need to know about studio lighting as well as situation lighting. Lighting can make or break a photograph and can be learned from all good photography courses. Not all teachers are great photographers. You need someone who has the ability and experience to convey the course information in a logical and planned method, and preferably has some experience in lecturing or training. Preferably your teacher/instructor will have a formal education, not necessarily a degree. Often simple stories and illustrations will effectively communicate the lessons and make it fun. If you want to take really great pictures you will need to put in little effort but by enrolling in a good photography course it will speed up your goals, knowledge and skills as a photographer. David Pix is a qualified, experienced and award winning photographer with many years of providing courses since 2003 both at tertiary education institutions and with the “Ultimate Photography Courses” Catalogue. David is inspirational as an instructor with lots of insider knowledge on how professional photographers take such great shots and he is happy to pass that on to you.